LIGHT UP YOUR NIGHT WITH BELVEDERE THIS SEPTEMBER 2014! Light Up Your Night tonight at Providence, Kuala Lumpur 9pm. Unlike the usual events, Belvedere would like to invite all the single ladies.... and men to experience a night filled with a variety of quirky engagements. There will be fun conversational body stickers, dark room graffiti light photo engagement, and Tag Me! 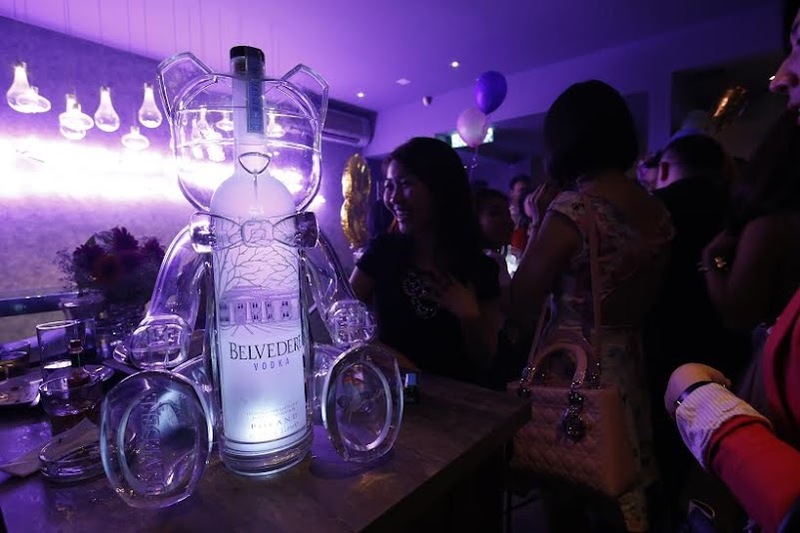 Exclusive Belvedere Bear plushies are also up for grabs for guests who tag a message or a picture of themselves onto the Belvedere Tree, an iconic snow tree LED lit structure, brought alive in this exclusive party outlet. Tonight you will also be the first to witness the impressive Belvedere Bear serving ritual, a ritual that would definitely grab your attention with its endearing silhouette. This ‘beary’ cute design will make an appearance at the party, bearing sparklers for those bold enough to light up the night with Belvedere. So all the single people out there, I'll see you tonight!